We’re acknowledging the first wave of the women’s rights movement in the United States by honoring family members who were activists. If there hadn’t been a first wave, the second wave would have been the first wave. We stand on strong shoulders. Suffrage Wagon News Channel is a digital newsletter publishing since 2009 and featuring The “Spirit of 1776” campaign wagon used by Edna Kearns in grassroots votes for women organizing in NYS. The wagon has been exhibited in 2010, 2012, 2017-2018, at the New York State Museum in Albany, New York. It is a prime artifact of the first wave of the women’s rights movement that has been on display on several occasions at the NYS Museum in Albany, NY, the state Capitol, in addition to the state museum. The wagon is part of the permanent collection at the state museum. Edna Kearns (1882-1934) was a grassroots activist in the first wave of the women’s rights movement in the US. She is best known for this campaign wagon used in New York City and on Long Island in 1913. Marguerite Kearns, Ed. Granddaughter of Edna B. and Wilmer R. Kearns. Tara Bloyd is associate editor of SWNC. She is the great-granddaughter of Edna and Wilmer Kearns. The channel highlights progress on the ongoing memoir (a work in progress) by Marguerite Kearns. Be part of the Suffrage Wagon community by way of email, Twitter, and Facebook. Check out our Vimeo video channel. Quarterly newsletter form. Follow Suffrage Centennials for upcoming events and celebrations. Wagon graphic by Ray Lund. 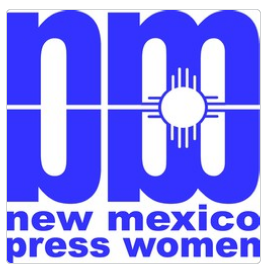 Contact Marguerite Kearns at 505-300-1002. “Spirit of 1776” is a nationally award-winning music video honoring Suffrage Wagon News Channel’s efforts to restore the first wave of the women’s rights movement to its proper place in American history. We’re persistent in our goal of inspiring, motivating, educating, and entertaining audiences about how we stand on strong shoulders. New York State video celebrating the 2017 suffrage centennial. American women picketed White House 100 years ago on Vimeo. The suffrage activists were “there” for us. Let’s be “there” for them by voting and becoming leaders in the world today. More information. Find out even more. Those who don’t have descendants are at a disadvantage. So much history gets lost to time. Going into your 10th year? What an accomplishment! It is great to read that her descendants have help to take up her legacy. Edna Kearns did such important work for promoting freedom and women’s right to vote. I’d love to see the actual suffrage wagon the the New York Capitol one day. I suspect it’d be a rather emotional experience. I’ve been following this platform for a couple of years, and finally, this past spring I got to see the suffrage wagon at the New York State Museum. What a treat, and well worth the travel to Albany, NY.